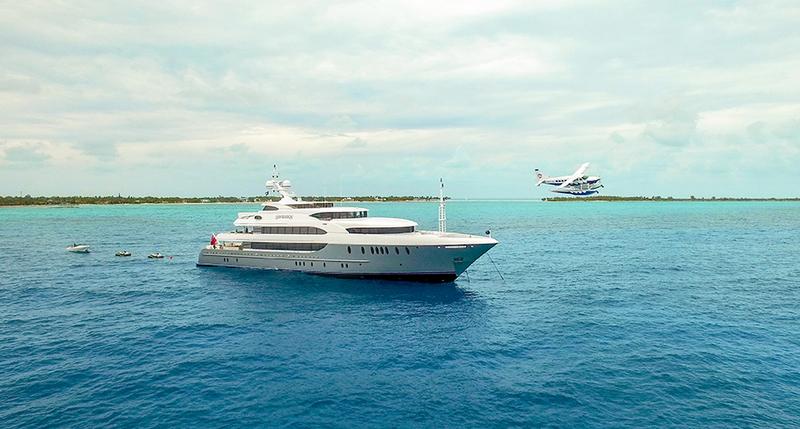 The 180′ (55m) mega yacht SOVEREIGN, built by Newcastle Shipyards in 2011 and refit in 2017, is listed for sale by Worth Avenue Yachts and under charter management by Worth Avenue Yachts – booking up fast for charter vacations this summer. 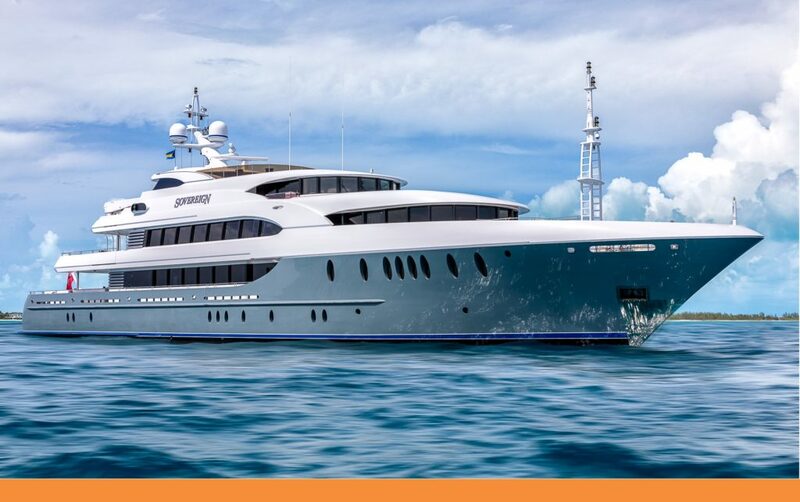 SOVEREIGN was featured in Showboats Design Awards, for the 2012 FINALIST for Naval Architecture Award: Motor Yachts. Furthermore, SOVEREIGN was also featured in the World Superyacht Awards 2012, FINALIST for Best Displacement Motor Yacht of 500GT to 1,299GT. 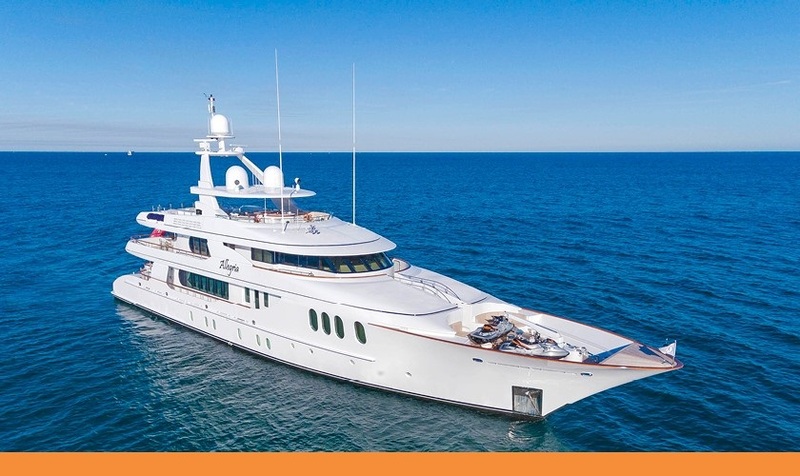 This incredible Newcastle Shipyards yacht for sale was built to rival the quality and capability of the Northern European pedigree shipyards. 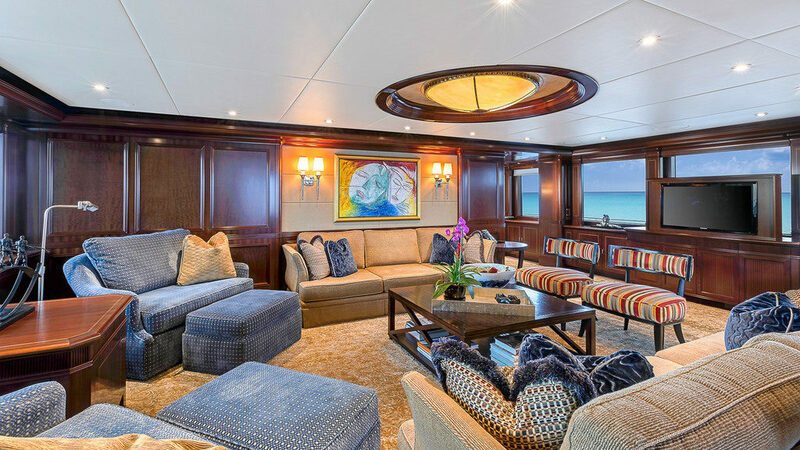 She was built by an experienced yachtsman who made sure the build included every opportunity to be successful by providing the finest supervision, engineering, design, time and quality material available. SOVEREIGN’s stability and sea keeping is found in her massive platform and complemented by her 10’ draft and 4 fin Quantum Zero Speed Stabilizers. 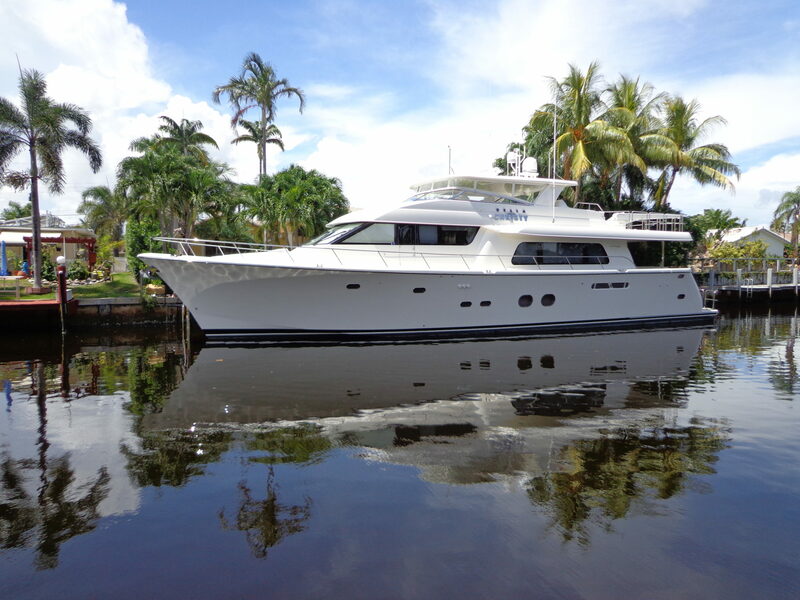 Her second and present owner has been the perfect custodian offering yacht for sale SOVEREIGN the “state of the art” upgrades, annual surveys both maintenance and class. 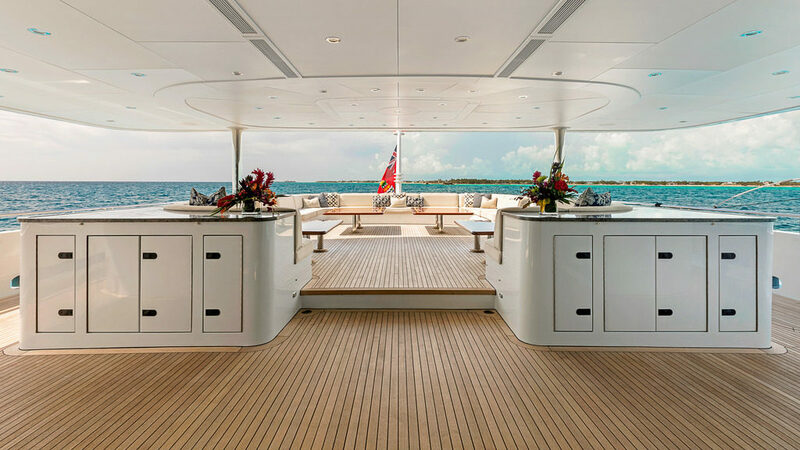 The 180′ charter yacht SOVEREIGN allows for the perfect mix of business and pleasure with every conceivable amenity provided by her luxurious design, smart layout, and attentive crew. Arrive on charter yacht SOVEREIGN in class and style, entering the beach club where you will be greeted by your uniformed crew ready to serve your every need. Your captain and crew aboard will provide the finest supervision and management of the vessel, ensuring your yachting experience surpasses anything before. Indulge in your luxurious lifestyle with charter yacht SOVEREIGN and turn your dreams into memorable experiences. 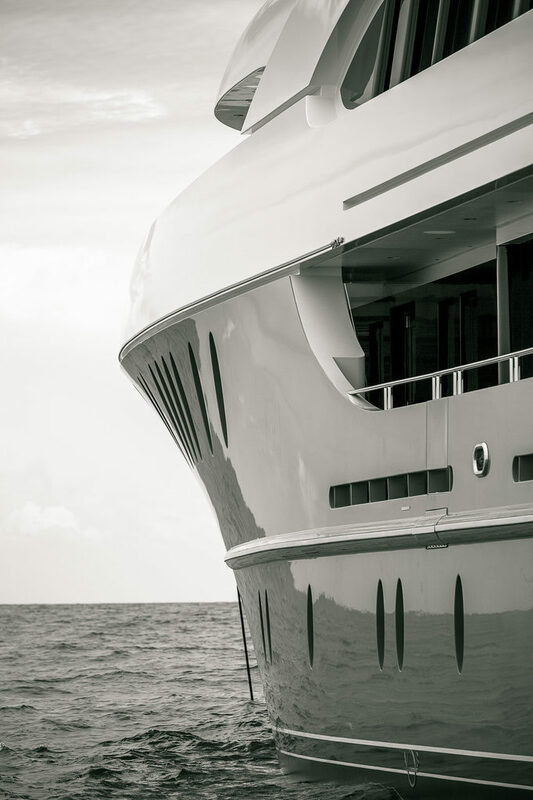 Your options for play and pleasure on mega yacht SOVEREIGN are limitless. Jet ski around on pristine turquoise waters and then relax with refreshing cocktails in the infinity pool/Jacuzzi, all on your own private retreat aboard mega yacht SOVEREIGN. Entering the marbled main foyer, the grand salon features lavish lounge sofas and entertainment systems. 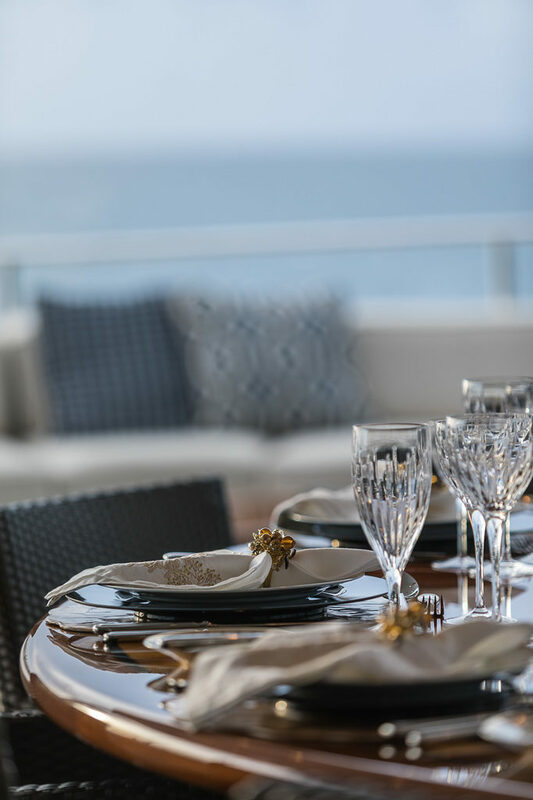 The immaculate dining area, with spectacular views of the ocean, provides seating for ten guests at an elegantly set mahogany table. In the middle of the main deck you will find the large open stairwell next to the elevator which gives you two ways to access all other interior decks. The elevator goes from the tank deck where freezers and provision are found to the bridge where the second master and sky lounge are found. 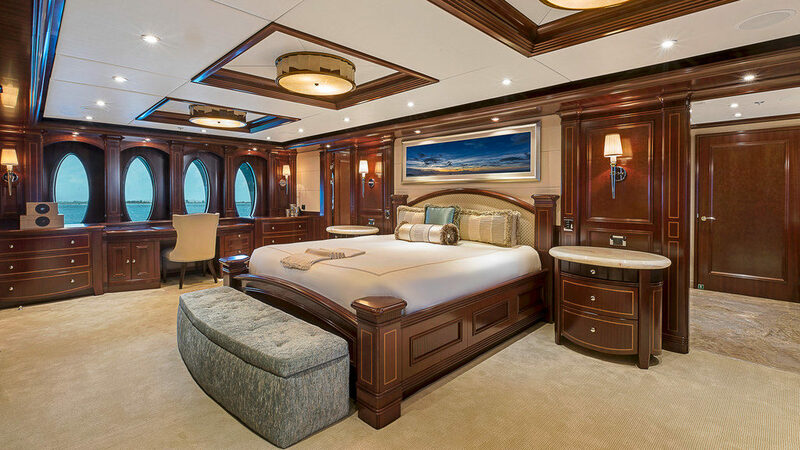 Mega yacht SOVEREIGN is designed to carry an owner’s party of fourteen (14) with six (6) owner and guest staterooms. Her accommodations consist of two master staterooms, one on the upper deck with 270 degree panoramic views and the other a full beam stateroom on the main deck featuring eight oval windows approximately 2′ tall for spectacular ocean views, both with his and her baths and ample hanging and drawer storage. 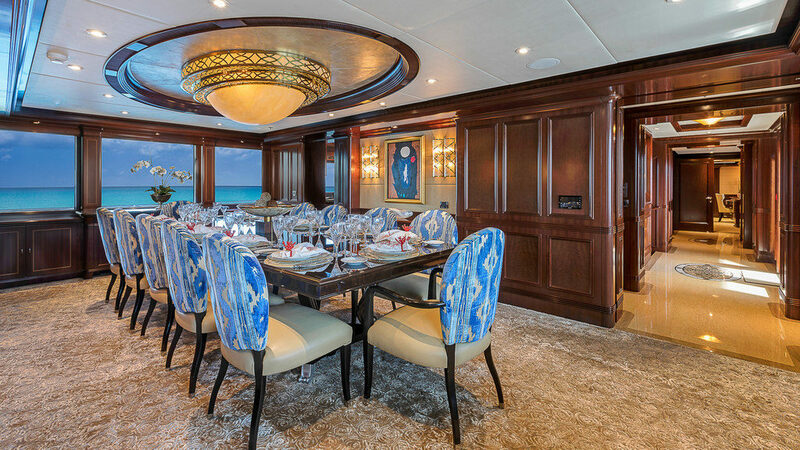 Below deck there are four (4) guest staterooms, consisting of a VIP stateroom with king berth and his and her baths, a large guest stateroom with king berth and spacious head and two (2) twin staterooms, each with a full, twin and Pullman berth. The crew areas accommodations support up to fourteen crew members in seven cabins total. The upper deck has a panoramic sky lounge area featuring greater than 10′ of headroom at the center. 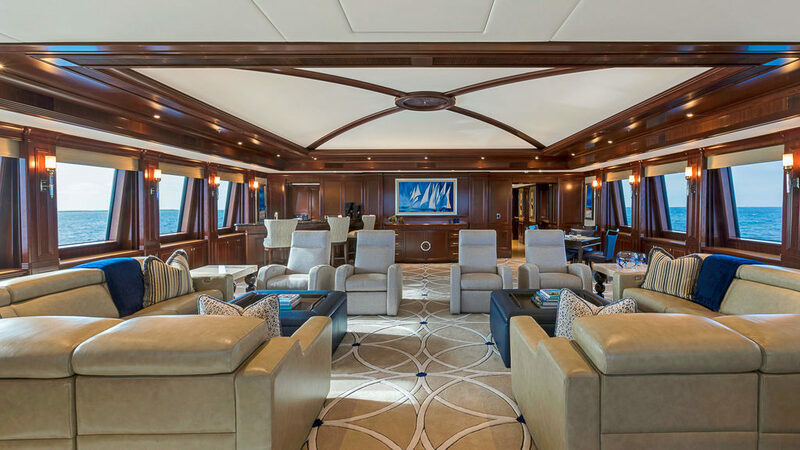 The sky lounge salon is double the size of the main salon and serves as the primary social area of the yacht with incredible views, a large bar, a nearby service pantry and quick access to the upper aft deck. 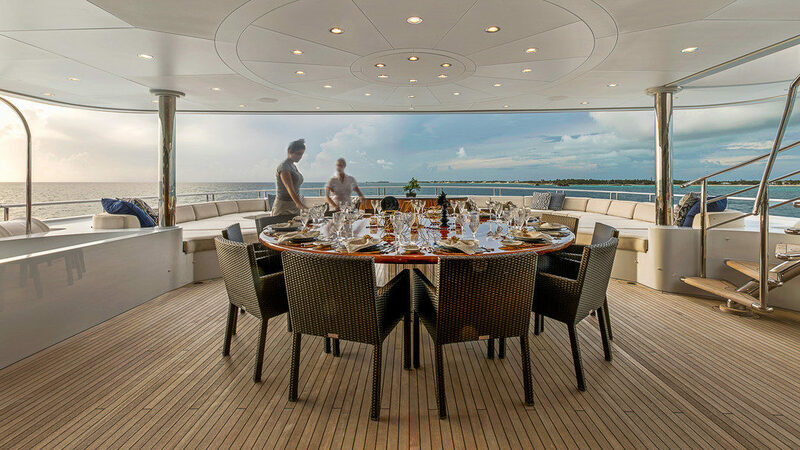 The upper aft deck has a large, circular alfresco dining table for elegant outdoor dining. Aft of the table are several large lounges and tables to relax outside in privacy, out of view from the dock. The sun deck has even more inviting social areas, including bar chairs, massive elevated forward observation/sun deck, day head, outdoor shower, full service wet, 46″ Sunbrite TV, bar and a beautifully tiled, oversized infinity edge pool/Jacuzzi with bar stools. 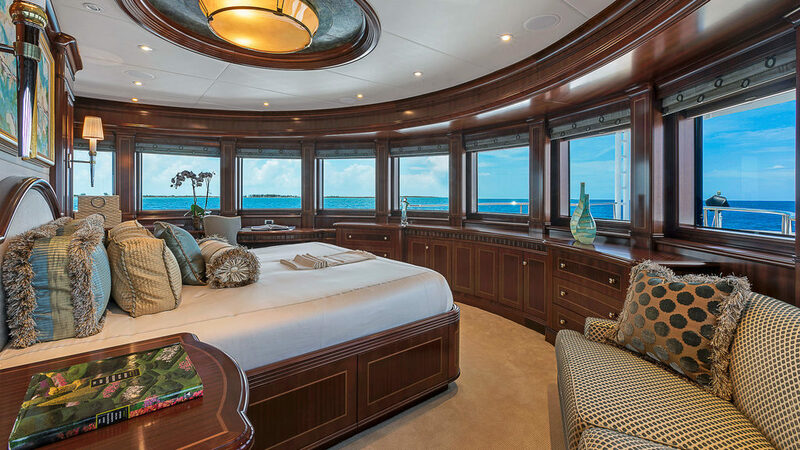 The Jacuzzi and bar area are protected from the sun by a hard top, on the luxurious charter yacht SOVEREIGN. 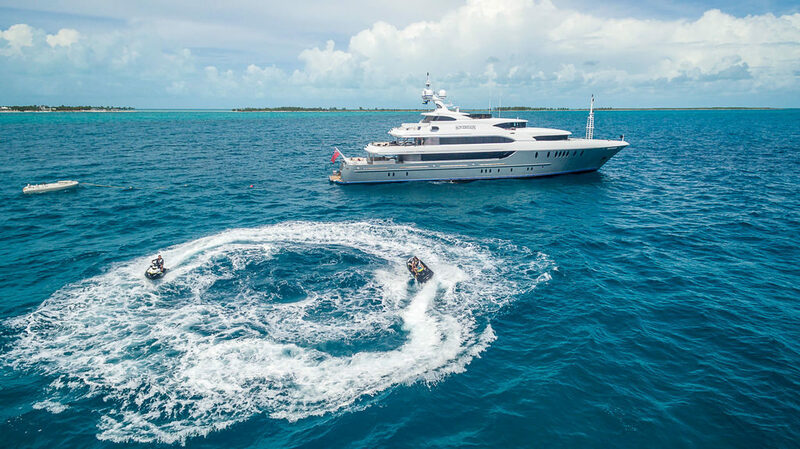 If you are ready to indulge your senses on an incredible yacht charter on M/Y SOVEREIGN, contact us to begin creating an outstanding cruising vacation. 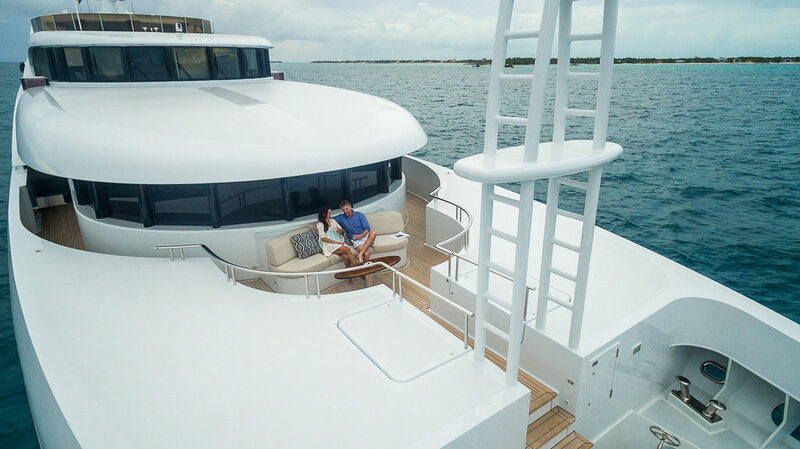 With years of luxury yacht charter experience, Worth Avenue Yachts is ideally suited to creating the perfect private yacht charter vacation for you and your family. We will tailor an incredible itinerary jam packed with unforgettable memories, in one of the most sought after yacht charter destinations worldwide. No matter what you want to experience from your yacht, there is a yacht that has been designed to accommodate your wishes. 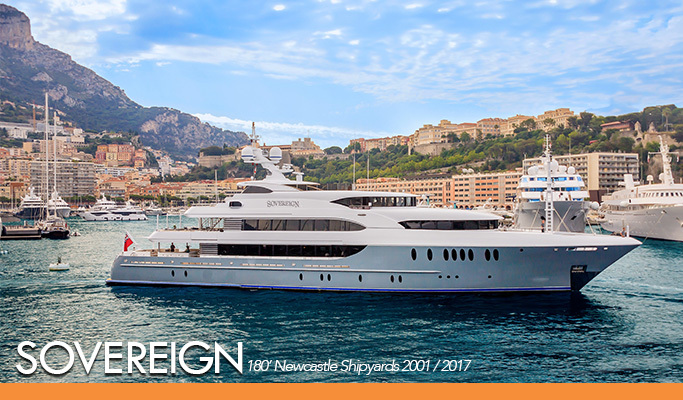 Our skilled Yacht Brokers are on hand to discuss motor yacht SOVEREIGN for sale, and can arrange a private viewing at your convenience. 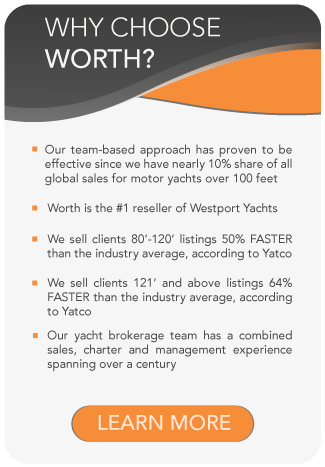 To get in touch please fill in our yacht purchase inquiry form or contact us at one of our yacht brokerage offices.